This Caribbean hideaway is offering guests the chance to stay in two luxury villas on different parts of the island where they can experience fabulous boat tours, culture, dining and more! St. Lucia, Caribbean – Stonefield Estate Resort’s newest package offers guests the best of all worlds where they can visit different areas of St. Lucia while being pampered with luxury accommodations and dining, as well as exciting activities and more. With this new package guests begin their trip staying up north where the nightlife is enriching and where they can enjoy duty free shopping and some of St. Lucia’s finest gastronomy. Guests overnight in Stonefield’s new Villa Cybelle for three evenings, which includes lovely views of the town of Castries and a beautiful ocean view. Head south, and enjoy four nights in one of Stonefield’s one-bedroom luxury ocean view villas where guests are pampered with daily breakfasts, a couple’s massage and a snorkeling excursion to the coral gardens. Guests can also take advantage of some of the amazing activities offered in and around nearby Soufriere, including climbing the Pitons, visiting the Diamond Botanical Gardens and spending a day at the sulphur springs and mineral and mud baths. Rates for the Duo Package start at $2,995.36 through December 20, 2012 and then increase to $4,275.09 January 5, 2013 through April 15, 2013. •A new 860-square-foot yoga studio equipped with tatami mats for martial arts and yoga. •Bamboo Door Spa offering couples massages and more. •State-of-the-art, air-conditioned gym equipped with Cybex cardio equipment, free weights and multi gym machines. •Mango Tree Restaurant, which includes an al fresco-dining pavilion that looks out onto the ocean and the Pitons. •Access to scenic hiking – the resort is nestled at the base of the Pitons. The resort is also minutes away via shuttle bus from the picturesque colonial town of Soufriere, as well as diving excursions in the Caribbean Sea; sightseeing tours of world-renowned sulphur springs and baths; horseback riding through a local cocoa plantation; and more. • Flat-screen TV with cable. • Dining and living room areas. • Three separate bedrooms with in-room showers. 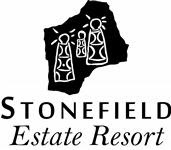 For more information on the Duo Package and Stonefield Estate Resort, or to make a reservation, visit http://www.stonefieldresort.com or call (800) 420-5731.